Is Bad Weather Hurting Your Productivity? 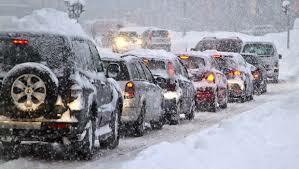 Is inclement weather and bad roads hurting your productivity because employees can’t make it into the office? Would you like to allow your employees to work from home when their kids are off school? If so, we can help. At Intec Solutions, we’ve been implementing remote access solutions since the first snow fall – well maybe not that long, but at least a decade or longer. From remote and VPN access to complete cloud desktop solutions and everything in between, we can design a remote access solution to meet your specific needs and budget. Don’t waste another day hoping your employees make it into the office. Keep them out of traffic, off the roads, and safe and fully product at home. Contact Intec Solutions today and let us help you remain safe and productive! Next Are you ready for an OCR HIPAA Compliance Audit?